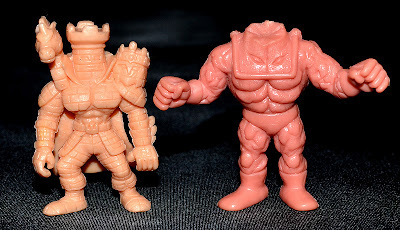 What: In the early '00s, Bandai brought M.U.S.C.L.E./Kinnikuman back to the North American market in the form of Ultimate Muscle. 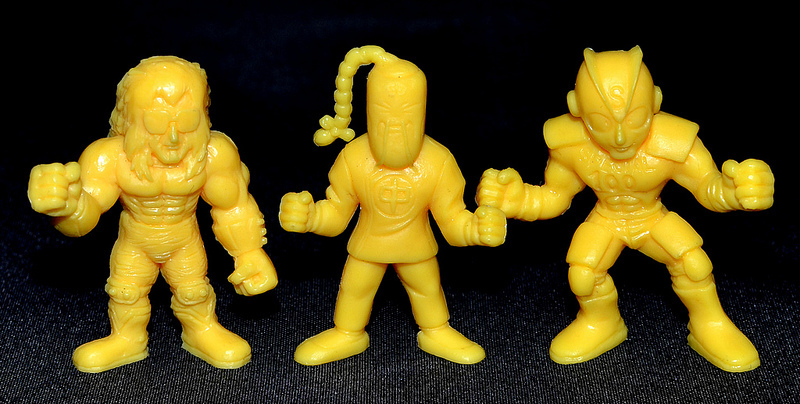 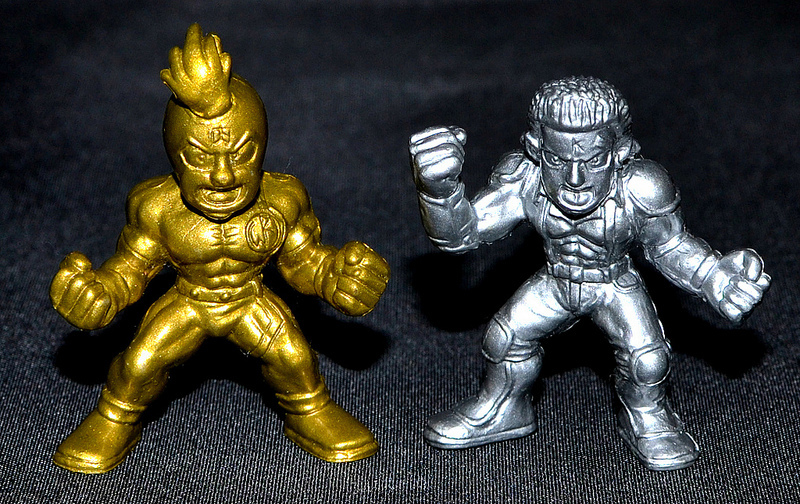 The line consisted of newly-sculpted Kinnikuman characters as a tie-in with the manga/anime series Ultimate Muscle: The Kinnikuman Legacy, with figures released in a variety of colors including red, yellow, blue, gold, silver and translucent blue and red (some painted figures were also released). 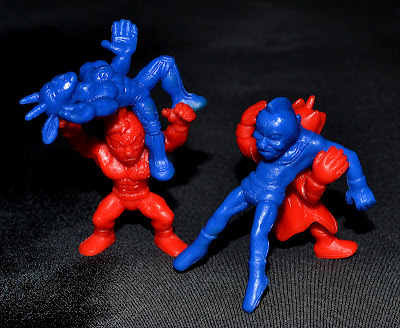 One thing that stands out about these is that certain figures were sculpted so that you could pose them as if they were actually wrestling. 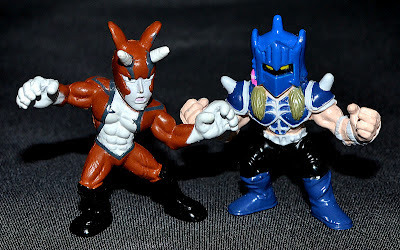 At the time these figures came out I was not collecting many toys, but I remember coming across them at the store and not being able to resist picking some up. Even so, I could never get too heavily into this line for some reason. 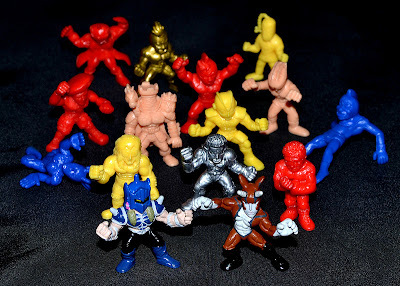 But being the mini figure hoarder that I am, I am glad I have at least a few in my collection!